There are 2 options for purchasing copies. 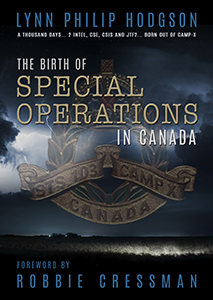 A truly definitive history of Canadian Special Operations. The book has 646 pages, 176 pictures with captions (many from WW2), hard cover 7"x10" x 2" thick with colour dust cover.